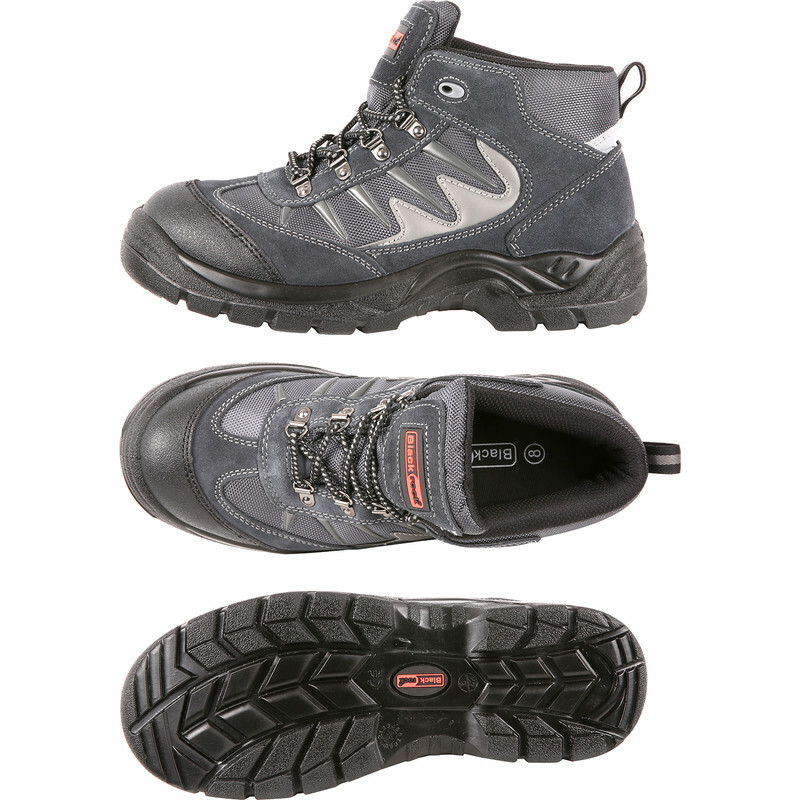 Stormchaser Safety Hiker Boots Size 8 is rated 4.3 out of 5 by 6. Rated 5 out of 5 by RichMulhall from Spot On! These boots are light, strong and comfortable. They have the look and feel of being well made and built to last. Rated 3 out of 5 by Whisky John from These boots made for walking!! The boot itself looks a quality product but the so called wider fit didn't help and unfortunately the boot is to be returned. Rated 4 out of 5 by Iain from Excellent value boots Comfortable, hard-wearing boots at a very reasonable price. Time will tell if they suffer from the irritatingly early delamination of the laces as is common with other boots in this range.